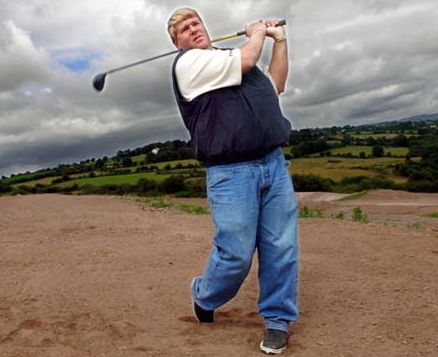 John Daly is back in IrelandBut the two-time major winner, 43, is hoping to continue his hot run of form and claw his way back from the doldrums to become a force again. Serving a six-month ban from the PGA Tour after a series of major drink-related controversies, he’s sworn off the Guinness this week and set his sights on chalking up the birdies. With a little Irish luck he's hoping he can recapture the kind of form that saw him lift the Open title at St Andrews in 1995 and finish a brilliant second in last week's Italian Open. 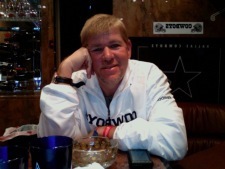 Looking forward to the links challenge, he said: “I love it. It’s so different from target golf. Imagination plays such a big part on a links course. Daly has grabbed yards of publicity in recent weeks by arriving in Europe with 20 pairs outrageous slacks designed by Loudmouth Golf. But he’s more interested in proving that he's not all mouth and trousers and hopes to hit the headlines for his golf rather than his wardrobe. He’s already up to 79th in the Race to Dubai and with little opportunity of keeping his card on the PGA Tour this year, he’s almost certain to play more in Europe. And a win at Baltray, where the winner will pocket €500,000, would catapult him into the top ten in the money list. Bracing himself for a massive test on a course were 25 mph east winds have left him scratching his head about how to tackle the course, he said: “I’m still not comfortable off the tee here and that concerns me a little bit. “There are seven or eight holes out there where I stand on the tee and I look at them and I don’t have a clue what to hit off the tee when the wind is blowing like this. Aussie Brett Rumford won with a 14 under par total when the Irish Open first visited Baltray in 2004. Famous for his party lifestyle and addictions to drink and gambling, he went fishing at Clogherhead with some Baltray members last night and promised to stay away from the Guinness. The American ace has slimmed down from 20 stone to just 16 thanks to stomach surgery and plans to lose a lot more weight over the next few months. But that means he won’t be trying Ireland’s most famous export, insisting: "You won't see me drinking a Guinness this week. One, my lap band won't allow it. And two, when you drink a beer in the States you can drink 12 or 13 and get a little buzz. Here it just takes one because it's so strong."